Scoliosis that appears in otherwise healthy 10 to18 year olds age is termed adolescent idiopathic scoliosis (AIS). Like other forms of scoliosis, it can have many possible causes. It is by far the most common type of scoliosis in children and adolescence and is termed idiopathic “Idiopathic” meaning “of unknown cause” as to date, a definitive answer to the cause has not been established. However, like other forms of idiopathic scoliosis there is a strong genetic link and there are currently genetic tests being developed for it. In AIS, 80% of scoliosis cases are girls, it is usually noticed around 11-12 years of age in girls and slightly later in boys. It will affect 4% of teenagers, however not all will require treatment. It begins to develop at the initial onset of puberty becoming more apparent as is worsens during growth spurts. AIS can be highly progressive, so it is important that the right sort of monitoring and treatment is sort. When not appropriately treated it may result in significant deformity, physical disability and psychological issues. The word “idiopathic” literally means “of unknown cause” – the exact cause of the condition is still unknown. It is widely accepted amongst specialists that the most likely factor in the development of Adolescent idiopathic scoliosis is genetic inheritance, although more research will be required to establish this as absolute fact. However, because the incidence of scoliosis does not occur in a traditional dominant pattern (i.e. not every child of parents who had scoliosis develops the condition, and vice versa), not everyone expresses these genes to the same extent. Research at several institutions has uncovered several different genes on that appear to be associated with scoliosis and genetic tests that can identify these genes are currently being tested. What we can say for certain at this stage is that both Juvenile and adolescent scoliosis cases are often seen in multiple members of the same family – so a family member with scoliosis is definitely a risk factor. There is also some evidence that AIS may be associated with certain activities which stress and pull the spine away from its normal aligned position. Some research indicates a higher incidence of scoliosis in ballet dancers, for example. How is adolescent scoliosis diagnosed? In the UK there is no formal screening program for AIS, it is however provided throughout some private schools and in activities such as ballet, which are known to have higher rate of scoliosis sufferers. Typically, adolescent scoliosis is first noticed by the child, a family member, teacher or sports coach. A simple test, known as the “Adam’s Test” is routinely performed. Where the child is asked to bend forwards from the waist and then hips, the shape of the spine and ribs is then observed. If one side of the rib cage or lower back is noticeably more prominent or humped the test is regarded as positive and the child should be seen by an appropriately trained health care professional. This hump can be measured by a specialist tool called a “Scoliometer” which can measure the degree of rotation from one side to the other. Scoliosis is measured on a x-ray, by measuring the degree of tilt of the vertebra involved. This angle is known as a Cobb angle and it must be over 10° and include rotation of the vertebra into the concavity of the curve. What are the symptoms of adolescent scoliosis? Typically AIS is without obvious symptoms, however it is not uncommon for adolescents with large curves or curves that progress quickly to develop some back pain or discomfort. How is Adolescent Idiopathic Scoliosis Treated? When deciding on which approach to take towards treating scoliosis, we must consider the risk of curve progression. This largely depends upon the curve size and the maturity of the patient and amount of growth left in the spine. When curves are large and there is still significant growth left, curve progression is inevitable. Even once growth has stopped, large curves will progress throughout adulthood. One way of determining the amount of growth left, is to assess the amount of cartilage left on the hip crests before it ossifies to the pelvis. This is known as the Risser sign and can be seen on a pelvic x-ray. The lower the Risser score number (0-5) the higher the risk of progression. Typically, the younger the person the more amount of growth left, thus Juvenile scoliosis has a worse prognosis than adolescent scoliosis. When Observation or “Watchful Waiting” is recommended, it is important to consider the risk of progression as a 15° curve in a 11 year old girl with a family history of scoliosis will have a high risk of progression compared to that a 25° curve in a 15 year old with no family history. In deciding on the best treatment approach, it is important to remember that all large curves started off small and it is easier to treat a small curve with bracing and scoliosis specific exercise than it is a large curve. In curves between 10-20°, physiotherapy scoliosis specific exercises should be started as there is evidence that they can improve or control the development of small curves. In curves over 20-25° with a moderate to high risk of progression, scoliosis bracing must be used in conjunction with scoliosis specific exercise. In Dr Stuart Weinstein’s BrAIST study, bracing was shown to be effective in reducing the progression to the surgical threshold of 50° by the end of growth in 72% of cases compared to 48% of those who were purely observed. What is important to remember, is that those who wore the brace for more than 13 hours per day actually had a 90% success rate. In curves 45-50°, conservative treatment becomes far more difficult. In older adolescent’s when a curve is less likely to rapidly progress, an aggressive rigid brace may be used and combined with intensive scoliosis specific exercise. This may help to improve body aesthetics and reduce the curve size when surgery is not recommended. In large curves in younger adolescents with a high risk of progression, bracing may be used to slow curve development. This way surgery can be delayed until growth has finished so multiple surgeries are not required. When curves are large and the risk of progression is high, surgery may be the only option. Surgery is recommended not purely on curve size, but also on curve location, future progression, loss of postural balance and when bracing has been unsuccessful. 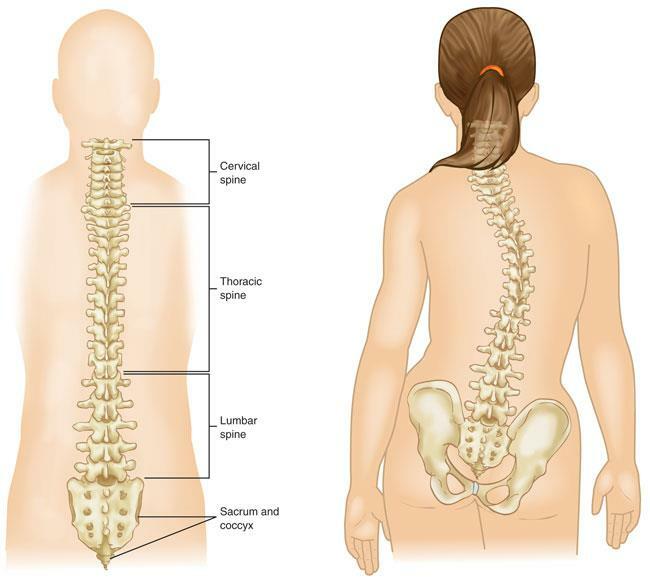 When surgery is required, the spine is fused into a straightened position. The techniques for this do vary and may involve utilisation of bone grafts or surgical rods to straighten the spine. Surgery, is undoubtedly not without risks but patients will normally return to school in 4-6 weeks and most if not all of their normal activities and non-contact sports over the following 12 months.